When it comes to being the DJ at desk, it isn’t all a fun job. The task requires extreme amount of seriousness, perseverance and the use of right tool to get it right. By right tool, we mean the topmost dj mixing software’s that can make sound mixing a more effective and easy task to undertake at a given time. Here’s our list of top recommended dj software free download for pc users. Virtual Dj (Home Version): Virtual Dj is the most popular and effective sound mixing software to download for free. However, the free version of the software does not support MIDI control which means that the user has to depend on using the keyboard to give good sound to it’s listeners. The free version also features most of the functions but lacks the good usage of controllers which are available in the paid version of the software. Dj Pro Mixer: This software has interesting feature like converting the video, saving the youtube videos into the mp3 format which can be essentially very important for a DJ, while searching for a song or tune online. MIDI controls are also available with the free version of this software. Mixxx: Mixxx is supposed to have the best features available if one is looking for the free edition of sound mixing software. Features includes ITunes, MIDI support with most of the controllers, BPM detection and sync functions, Auto Dj, different skin colors and many more. Ultra Mixer: Some of the essential features listed in the software include, Graphical Waveforms, Auto Beat Matching, Digital Scratching, Seamless Live Looping, Mix recording and many more. DJ PRO DESK: This software is recommended to home users and it designing of the songs/tunes. The software runs successfully with Windows XP, Vista and 7. It’s a dj software free download for pc users with no limitations. Features include: Three effects, memory banks, complete mixer, equalizer, sync and beat detection functions, resizable windows and ultra fast search. 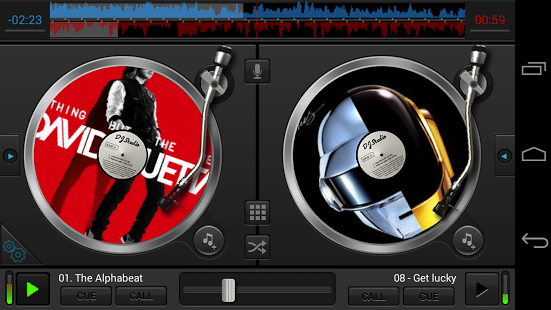 These are some of the most commonly used DJ Software free Download for PC users. The best part about using the free edition of such software’s is that the user gets to learn and handle the software easily in the free edition before heading out for buying the extended form of paid version of DJ software. It’s of great help to my work and thank you a lot for sharing.